Cuba today became the first country in the world to receive validation from WHO that it has eliminated mother-to-child transmission of HIV and syphilis. “Eliminating transmission of a virus is one of the greatest public health achievements possible,” said Dr Margaret Chan, WHO Director-General. “This is a major victory in our long fight against HIV and sexually transmitted infections, and an important step towards having an AIDS-free generation” she added. Every year, globally, an estimated 1.4 million women living with HIV become pregnant. Untreated, they have a 15-45% chance of transmitting the virus to their children during pregnancy, labour, delivery or breastfeeding. However, that risk drops to just over 1% if antiretroviral medicines are given to both mothers and children throughout the stages when infection can occur. The number of children born annually with HIV has almost halved since 2009 – down from 400 000 in 2009 to 240 000 in 2013. But intensified, efforts will be required to reach the global target of less than 40 000 new child infections per year by 2015. Nearly 1 million pregnant women worldwide are infected with syphilis annually. This can result in early fetal loss and stillbirth, neonatal death, low-birth-weight infants and serious neonatal infections. However, simple, cost-effective screening and treatment options during pregnancy, such as penicillin, can eliminate most of these complications. WHO/PAHO has been working with partners in Cuba and other countries in the Americas since 2010 to implement a regional initiative to eliminate mother-to-child transmission of HIV and syphilis. As part of the initiative, the country has worked to ensure early access to prenatal care, HIV and syphilis testing for both pregnant women and their partners, treatment for women who test positive and their babies, caesarean deliveries and substitution of breastfeeding. These services are provided as part of an equitable, accessible and universal health system in which maternal and child health programs are integrated with programs for HIV and sexually transmitted infections. “Cuba’s success demonstrates that universal access and universal health coverage are feasible and indeed are the key to success, even against challenges as daunting as HIV,” said PAHO Director, Dr Carissa F. Etienne. “Cuba’s achievement today provides inspiration for other countries to advance towards elimination of mother-to-child transmission of HIV and syphilis”. There have been major efforts in recent years to ensure that women get the treatment they need to keep themselves well and their children free from HIV and syphilis and a number of countries are now poised to eliminate mother-to-child transmission of both diseases. In 2007, WHO launched the Global elimination of congenital syphilis: rationale and strategy for action. The strategy aims to increase global access to syphilis testing and treatment for pregnant women. By 2014, more than 40 countries were testing 95% or more of pregnant women in prenatal care for syphilis. But although progress has been made, many countries have still to prioritize preventing and treating mother-to-child transmission of syphilis. In 2012, syphilis affected 360 000 pregnancies through stillbirths, neonatal deaths, prematurity, and infected babies. In 2011, UNAIDS with WHO and other partners launched the Global Plan towards the elimination of new HIV infections among children by 2015, and keeping their mothers alive. This global movement has galvanized political leadership, innovation and engagement of communities to ensure that children remain free from HIV and that their mothers stay alive and well. Between 2009 and 2013, the proportion of pregnant women living with HIV in low- and middle-income countries receiving effective antiretroviral medicines to prevent transmission of the virus to their children doubled. This means that globally, 7 out of 10 pregnant women living with HIV in low- and middle-income countries receive effective antiretroviral medicines to prevent transmission of the virus to their children. Among the 22 countries which account for 90% of new HIV infections, 8 have already reduced new HIV infections among children by over 50% since 2009, based on 2013 data, and another four are close to this mark. In 2014, WHO and key partners published Guidance on global processes and criteria for validation of elimination of mother-to-child transmission of HIV and syphilis, which outlines the validation process and the different indicators countries need to meet. As treatment for prevention of mother-to-child-transmission is not 100% effective, elimination of transmission is defined as a reduction of transmission to such a low level that it no longer constitutes a public health problem. 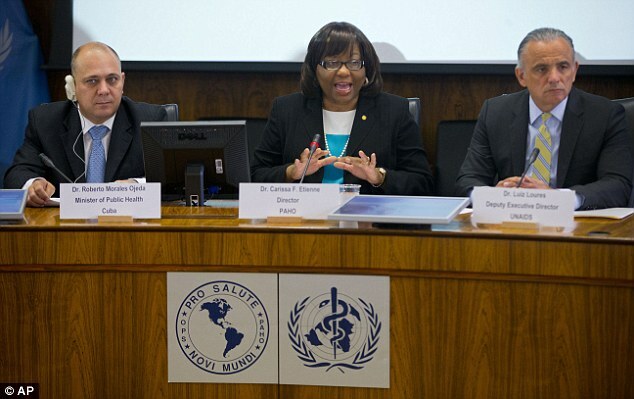 An international expert mission convened by PAHO/WHO visited Cuba in March 2015 to validate the progress toward the elimination of mother-to-child transmission of HIV and syphilis. During a five-day visit, members visited health centers, laboratories, and government offices throughout the island, interviewing health officials and other key actors. The mission included experts from Argentina, the Bahamas, Brazil, Colombia, Italy, Japan, Nicaragua, Suriname, the United States of America and Zambia. The validation process paid particular attention to the upholding of human rights, in order to ensure that services were provided free of coercion and in accordance with human rights principles. More than 95% of pregnant women with syphilis receive treatment. The term “validation” is used to attest that a country has successfully met criteria (internationally set targets for validation) for eliminating MTCT of HIV and/or syphilis at a specific point in time, but countries are required to maintain ongoing programmes. In 2013, only two babies were born with HIV in Cuba, and only 5 babies were born with congenital syphilis. It has now become absolutely clear that United States-based anti-Venezuela forces are currently using their agents in the Caribbean to try to subvert the growing friendship between the socialist Government of Venezuela and the nation-states of the Caribbean Community (CARICOM) by deliberately misconstruing the Venezuelan government’s policy and intentions in relation to that country’s one hundred year old border dispute with our sister Caribbean territory of Guyana! 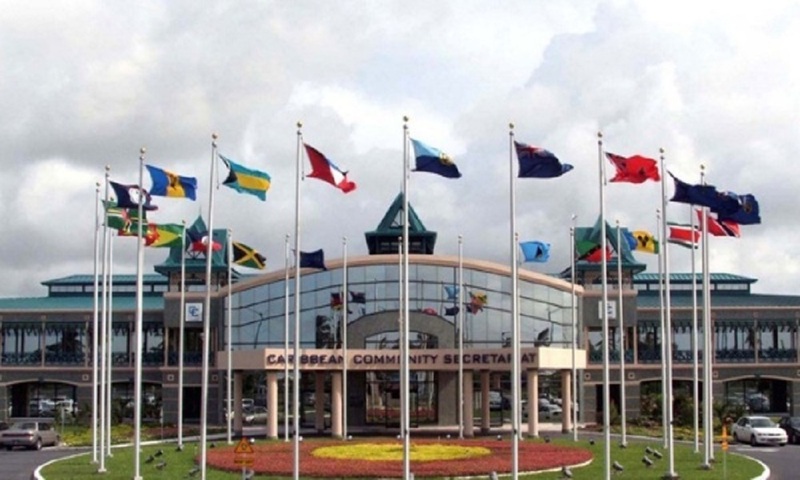 This nefarious conspiracy must not be allowed to succeed, and it is therefore crucial that the Caribbean heads of Government who are meeting in Barbados this week for CARICOM’s 36th Heads of Government Summit examine the facts very carefully and issue a strong statement that exposes as a lie the fraudulent and mischievous assertion that is currently being peddled in the Caribbean news media that President Maduro of Venezuela has issued a decree in which he purports to appropriate a portion of Guyana’s territorial space. A disturbing new video has surfaced encouraging the Ecuadorean police force to join destabilization efforts against the left-wing president, Rafael Correa. The video, which appears to incite rebellion among the ranks of the Ecuadorean police department, is particularly alarming due to the role of the police in a 2010 coup attempt against President Rafael Correa. 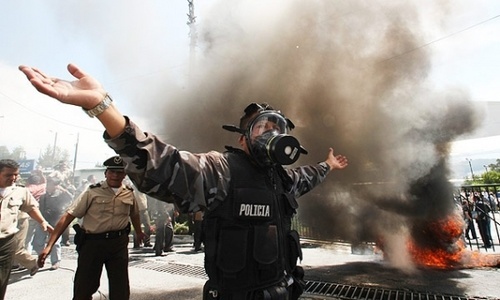 The call for rebellion among the ranks of the Ecuadorean police department is particularly alarming due to the police role in a 2010 coup attempt. In recent weeks, a wave of protests, initially against tax hikes on the wealthiest, have demanded the ousting of the elected progressive president. 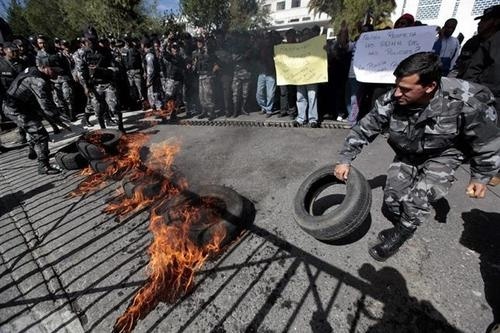 The protests have been led by right-wing politicians linked to the old governing powers, swept from office by Rafael Correa’s election victory in 2007. The 2010 coup attempt saw the military and the police conspire in events that saw the president injured and later detained against his will. Five people died and, in released recordings, police officers can be heard screaming “Kill the President”, “Kill Correa.” The president was ultimately rescued by loyal sections of the military and returned to the presidential palace, where thousands had gathered to show their support for the government. After the failure of the previous coup attempt, numerous police officers were convicted and sentenced for their involvement in the mutiny. According to a 2014 report from the Police Inspector’s Office, a total of 600 police members were removed from their posts between 2013 and 2014 due to corruption and organised-crime related activities. 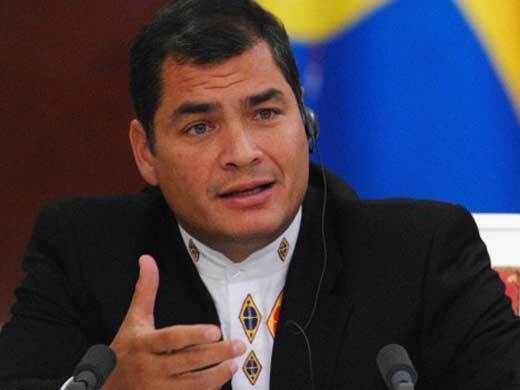 Following the failed coup in 2010, both President Correa and Foreign Minister Ricardo Patiño accused the CIA of lending support to the country’s security institutions including the Ecuadorean police. Correa, who has served as President since 2007, has consistently had approval ratings of over 60 percent, making him one of the region’s most popular leaders. The events of Sept. 30, 2010, echoed many others in Latin America’s past, when force was used to remove elected heads of state. For the last six months, the Greek government has been waging a battle under conditions of unprecedented economic asphyxiation, in order to implement your mandate, that of January 25th. The mandate to negotiate with our partners to bring about an end austerity, and for prosperity and social justice to return to our country once more. For a sustainable agreement that will respect democracy, as well as European rules, and which will lead to a definitive exit from the crisis. During the negotiations, we were repeatedly asked to implement memoranda policies agreed to by the previous governments, despite the fact that the memoranda were unequivocally condemned by the Greek people in the recent elections. We never considered giving in—not even for a moment. Of betraying your trust. Following five months of tough negotiations, our partners submitted a proposal-ultimatum at the Eurogroup meeting, taking aim at Greek democracy and the Greek people. An ultimatum that contravenes Europe’s founding principles and values. The values of our common European project. The Greek government was asked to accept a proposal that will add new unbearable weight to the shoulders of the Greek people, and that will undermine the recovery of the Greek economy and society–not only by fueling uncertainty, but also by further exacerbating social inequalities. The institutions’ proposal includes measures that will further deregulate the labor market, pension cuts, and further reductions in public sector wages–as well as an increase in VAT on food, restaurants and tourism, while eliminating the tax breaks of the Greek islands. These proposals–which directly violate the European social acquis and the fundamental rights to work, equality and dignity–prove that certain partners and members of the institutions are not interested in reaching a viable and beneficial agreement for all parties, but rather the humiliation of the Greek people. These proposals mainly illustrate the IMF’s insistence on harsh and punitive austerity measures. Now is the time for the leading European powers to rise to the occasion and take initiative to definitively end the Greek debt crisis, a crisis affecting other European countries as well, by threatening the very future of European integration. We are facing a historic responsibility to not let the struggles and sacrifices of the Greek people be in vain, and to strengthen democracy and our national sovereignty—and this responsibility weighs upon us. Our responsibility for our country’s future. 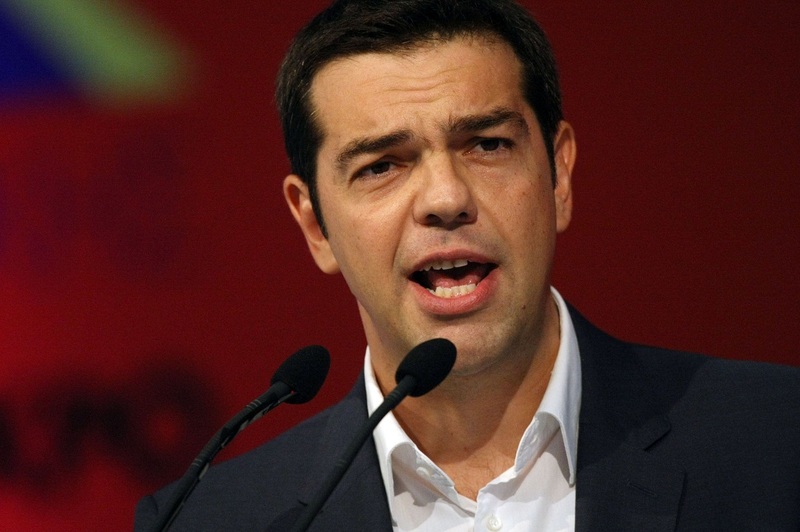 This responsibility obliges us to respond to the ultimatum based on the sovereign will of the Greek people. Earlier this evening, the Cabinet was convened and I proposed holding a referendum, so that the Greek people can decide. My proposal was unanimously accepted. Tomorrow, the Parliament will hold an extraordinary meeting to ratify the Cabinet’s proposal for a referendum to take place next Sunday, on July 5th. The question on the ballot will be whether the institutions’ proposal should be accepted or rejected. I have already informed the French President, the German Chancellor, and the ECB’s president of my decision, while tomorrow I will ask for a short extension of the program -in writing- from the leaders of the EU and the institutions, so that the Greek people can decide free of pressure and blackmail, as stipulated by our country’s Constitution and Europe’s democratic tradition. I call on you to decide –with sovereignty and dignity as Greek history demands–whether we should accept the extortionate ultimatum that calls for strict and humiliating austerity without end, and without the prospect of ever standing on our own two feet, socially and financially. We should respond to authoritarianism and harsh austerity with democracy–calmly and decisively. Greece, the birthplace of democracy, should send a resounding democratic message to the European and global community. And I personally commit that I will respect the outcome of your democratic choice, whatever it may be. I am absolutely confident that your choice will honor our country’s history and will send a message of dignity worldwide. In these critical times, we all have to remember that Europe is the common home of all of its peoples. That in Europe there are no owners and guests. Greece is, and will remain, an integral part of Europe, and Europe an integral part of Greece. But a Europe without democracy will be a Europe without an identity and without a compass. I call on all of you to act with national unity and composure, and to make a worthy decision. For us, for our future generations, for Greek history. For our country’s sovereignty and dignity. 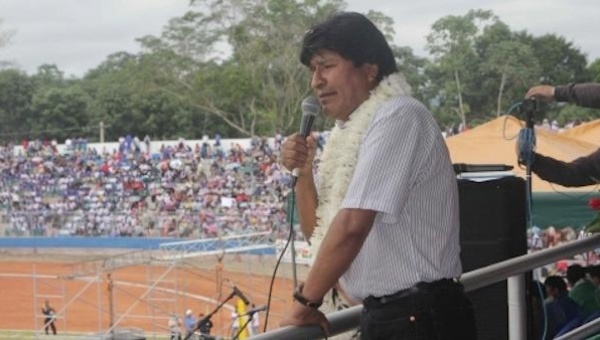 Bolivian President Evo Morales inaugurated a new soccer stadium on Wednesday in the central department of Cochabamba, naming the new athletic facility after the late Venezuelan leader, Hugo Chavez. President Morales, an avid soccer fan who was signed to play on squad in the country’s first league, also emphasized the importance of government investment in sports related infrastructure projects. “Delivering a soccer field is sort of similar to building a hospital because athletic activity is healthy for everyone,” Morales said. The 15,000-seat stadium was financed and constructed as part of President Morales’s flagship social welfare program, which has carried out over 5,000 small-scale infrastructure projects, including the construction of medical clinics, schools and gymnasiums. Protesters are calling on the Greek government to defy its international creditors, and reject austerity. Thousands gathered in Athens ahead of last ditch talks, aimed at securing a debt deal, and keeping Greece in the Eurozone. As Greek Prime Minister Alexis Tsipras announced that Greece will hold a referendum to ask the Greek people if they approve of a bailout deal with the country’s creditors, here is a final draft of the creditors proposal for Greece, as it was obtained by the Financial Times. The referendum, to be conducted on July 5th, will ask the Greek citizens if they approve a deal based on the following document the Greek government has already described as “humiliating” since it includes more austerity for the country. 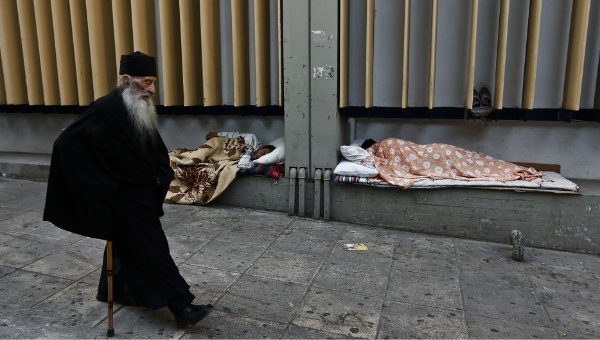 20,000 Greeks were rendered homeless within the first two years of the country’s austerity measures. Austerity measures have created job losses and economic insecurity, devastating some individuals. Yet another study has found that suicides in Greece increased by 35 percent during the first two years that strict austerity measures were imposed on the country, according to media reports this week. “Our main finding was that after 2010, when harsh austerity measures were implemented in Greece, we noted a significant increase in suicide rates for the years 2011 and 2012 in comparison to the period between 2003 and 2010,” University of Thessaly Professor George Rachiotis told Medscape Medical News Tuesday. “In addition, we found that there was a significant correlation between suicide rates with an increase in unemployment in Greece, where unemployment has almost doubled [since 2009] and is now approaching 30 percent,” he added. The University of Thessaly was one of the research bodies behind the recent study, which was published in the British Medical Journal in March. The group most affected by the austerity measures were working-aged men between 20 and 59 years of age, where the suicide rate increased from 6.56 to 8.81 per 100,000 population in 2011- 2012 – according to the study that was conducted jointly with the University of Oxford, the European Center on Health of Societies in Transition, the London School of Hygiene and Tropical Medicine as well as the European Observatory on Health Systems and Policies. Suicides also increased for women, however not as markedly as that for men, researchers found. Greece was forced by the European Commission, the European Monetary Fund and the International Monetary Fund to implement severe austerity measures in 2010. These included cuts to pensions and public sector jobs and salaries, as well as increases to indirect taxes and to privatize state-owned industries, the study explained. The result was that by 2012, 20,000 Greeks had been rendered homeless, 20 percent of shops in the historic center of Athens were shuttered, and about one in 10 citizens of greater Athens was visiting a soup kitchen on a daily basis, added the study. Researchers also found an increase in the number of suicides of people over 65, noting the particular difficulty for those who were retired, or soon to be retired, and saw their pensions reduce significantly. “Austerity heightens suicide risks directly by creating job losses, especially among public sector workers, and by increasing economic insecurity,” said Dr Rachiotis in the final report. This is the second major study to find that life under austerity can be devastating. In February, the BMJ published a similar report after research conducted by the University of Pennsylvania, Edinburgh University and Greek health authorities also found that suicide in Greece had increased by 35 percent during the same time period. Enter your email to get notifications..